The release date for Minecraft: Story Mode – Season Two on Switch appears to be final. After it was previously pulled months ago, the game has returned to the eShop with a November 6 release date. Other retailers have been listing the same day for the physical copy, so there shouldn’t be any further delays. It was originally thought that Minecraft: Story Mode – Season Two would be out on Switch back in August based on the original eShop listing. That didn’t happen though, and we were left wondering when it would eventually launch. Minecraft: Story Mode – Season Two still has its original listed price point of $39.99. We originally thought that Minecraft: Story Mode – Season Two would be out on Switch back in August. That didn’t happen though, and we’ve been waiting for a new release date since. Could November be the lucky month? Perhaps. Retailers like Amazon and GameStop have updated their listings, showing a new release date of November 6. There’s plenty of uncertainty surrounding Telltale at the moment, so nothing is confirmed. If we hear anything else about Minecraft: Story Mode – Season Two’s release date on Switch, we’ll pass the news along. Minecraft: Story Mode – Season Two was originally listed for release on the Switch eShop this week. Specifically, the download was supposed to be made available on August 7. Unfortunately, that isn’t going to happen at this point. Minecraft: Story Mode – Season Two has disappeared from the eShop, and it’s also gone on Nintendo’s website. Since it was missing from the latest Nintendo Download report as well, we’re obviously seeing some sort of delay here, but it’s unclear how long the wait will be. Minecraft: Story Mode – Season Two has previously been listed for Switch at retailers and classification websites. Thanks to an eShop listing, it’s finally been made official. 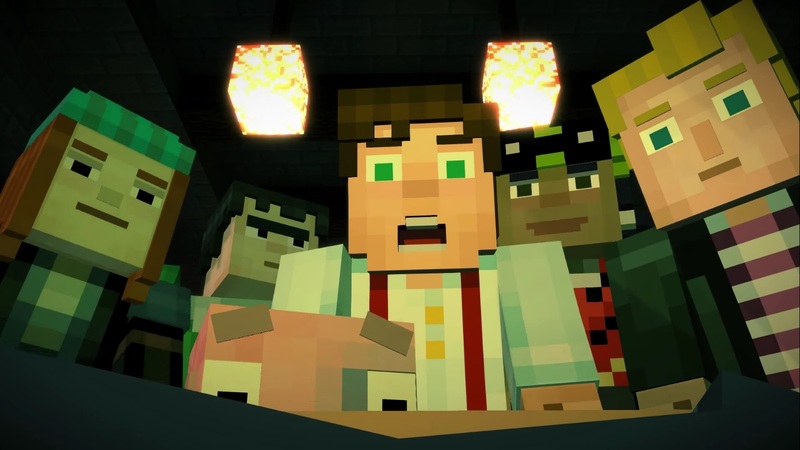 Minecraft: Story Mode – Season Two launches for Switch on August 7. Minecraft: Story Mode – Season Two was first rated for Switch by the USK last month. It has also since been classified by the ESRB. Now we have the strongest evidence yet of a Switch release. 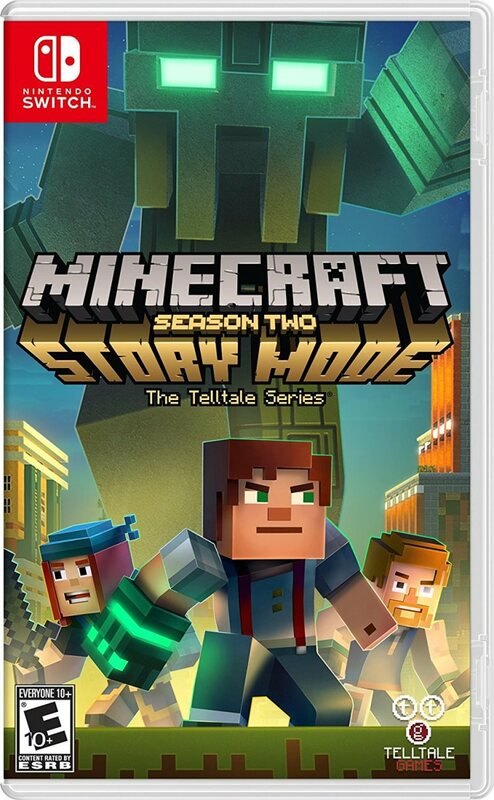 Over on Amazon Mexico, a page has appeared for a Switch version of Minecraft: Story Mode – Season Two, complete with what looks to be the official boxart. If the listing is accurate, we’ll be seeing the game on July 24. Minecraft: Story Mode – The Complete Adventure came to Switch last August. Season Two is the sequel with an additional five episodes. Thanks to MrCafecitoYT for the tip. It’s been awhile since we last heard about Telltale’s plans for Switch. Minecraft: Story Mode – The Complete Adventure came out last August, followed by Batman – The Telltale Series in November. 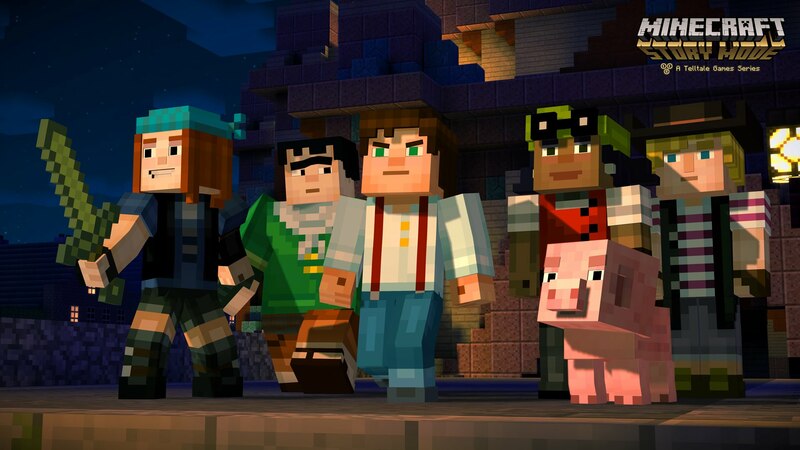 Looking forward to the future, it seems like Minecraft: Story Mode – Season Two will also be making its way to Switch. Though we don’t have an official announcement yet, it was rated for Nintendo’s console by the USK earlier this month. An announcement could be coming soon. 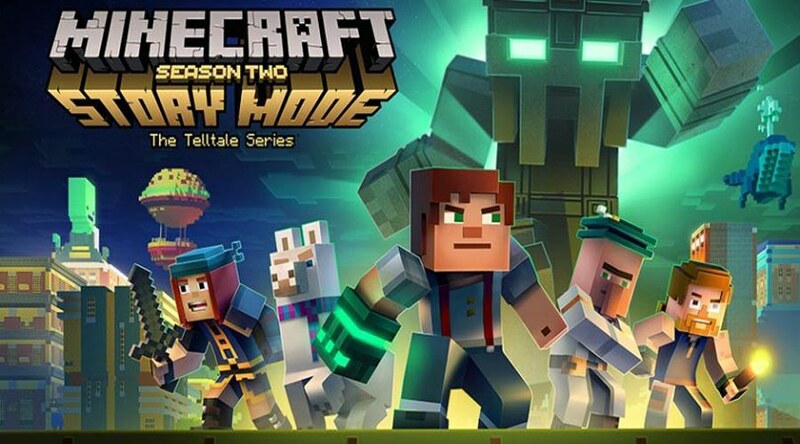 Telltale previously hinted that Minecraft: Story Mode – Season Two would be possible on Switch. Guardians of the Galaxy is also something that we thought would end up on the system, but we don’t have any news on that front just yet. Minecraft: Story Mode – The Complete Adventure finally has a release date on Switch. Today, Telltale confirmed a release date of August 22 in North America and August 25 in Europe / other regions. 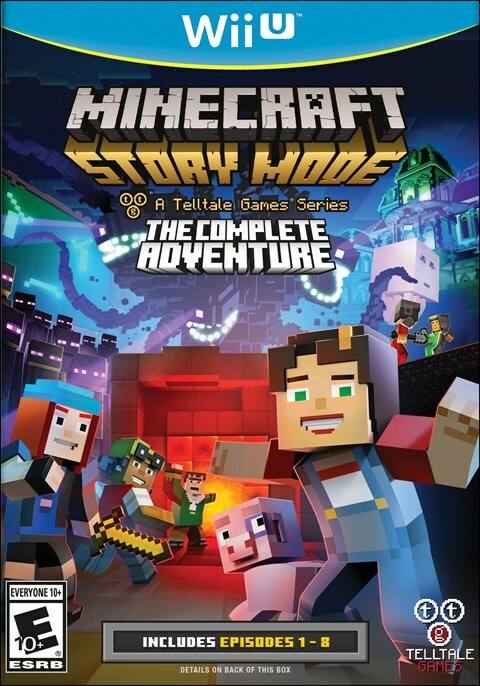 Telltale will offer Minecraft: Story Mode – The Complete Adventure as a physical cartridge and a digital download. 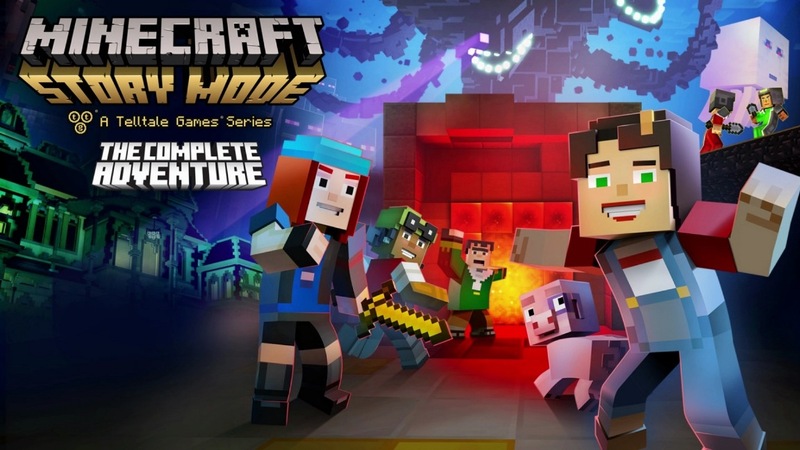 It has all eight episodes from the first season of Minecraft: Story Mode: five episodes from the original season pass, plus the three bonus episodes from the ‘Adventure Pass’ add-on series. Minecraft: Story Mode wrapped up last year. The eighth, final episode was originally distributed back in September. However, it now looks like Telltale Game is returning to the series. 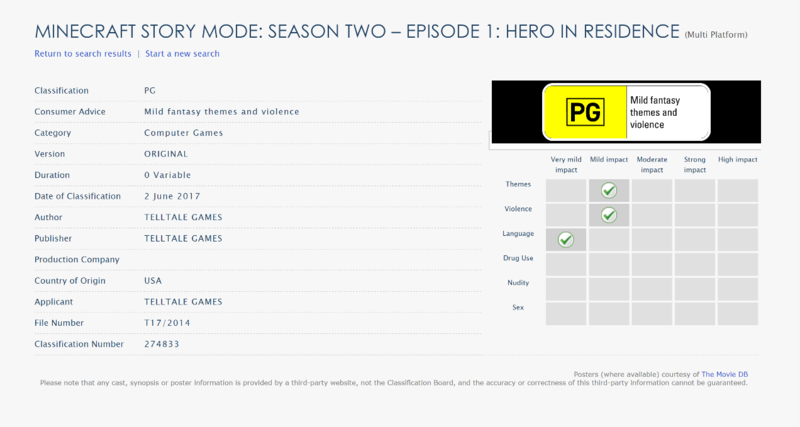 A rating for a second season of Minecraft: Story Mode has popped up in Australia. The first episode has been classified specifically, which is known as “Hero in Residence”. We’re reporting on this with some hesitation. Minecraft: Story Mode did originally come to Wii U, and it’s also landing on Switch in the very near future. Telltale’s output on Nintendo platforms can be unpredictable though as the recently-released Guardians of the Galaxy did not end up on Switch (at least not yet). That being said, Minecraft: Story Mode Season Two probably has a decent shot of coming to Nintendo’s new console. We posted the European Minecraft: Story Mode – The Complete Collection boxart last week, and now we have the North American equivalent. Get a look at the pack shot above.